Green was waived by the Colts on Monday, Mike Chappell of Fox 59 News Indianapolis reports. Analysis: This is the second time in a week that the Colts have waived Green, who seems to have only been considered as a camp body. Green was released to make room for linebacker Brandon Chubb, and the second-year running back will now hope to stick elsewhere in the league. Green re-signed with the Colts on Wednesday, Mike Chappell of Fox 59 News Indianapolis reports. Analysis: Green was brought back Wednesday following the release of Josh Ferguson (groin). Green still faces an uphill battle in terms of earning a spot on the 53-man roster, but he'll now at least have a fighting chance. Green was waived by the Colts on Monday, the team's official site reports. Analysis: Green was signed as a free agent by the Colts just last week. However, the team elected to move on, ultimately signing Cobi Hamilton on Monday to fill their need for additional depth at receiver. The Colts and Green agreed to a contract Tuesday. 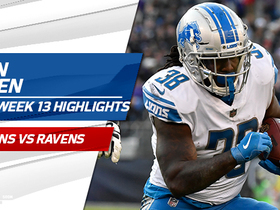 Analysis: Green accumulated 165 yards and two touchdowns on 42 carries to go along with two receptions for 14 yards across five games as a rookie for the Lions last season. There are a plethora of running backs already on the Colts' depth chart, but several are nursing injuries, which could give Green an opportunity to impress right away. Still, he figures to have an uphill battle in terms of making the team's final roster. 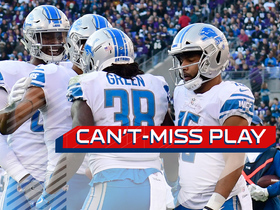 Analysis: The drafting of Kerryon Johnson and addition of LeGarrette Blount figured to spell the end for one, if not more, of the Lions' running backs who were in the mix last season. Green is an early casualty on that front, but it wouldn't be surprising to see the Cincinnati product scooped up off of waivers by another club. Green could remain a part of the Lions' backfield mix in 2018, Kyle Meinke of MLive.com reports. Green rushed nine times for 21 yards while catching both of his targets for 14 yards during Sunday's 35-11 victory over Green Bay. Green rushed seven times for 43 yards and one touchdown during Sunday's 26-17 loss to the Bengals. Green carried 10 times for 35 yards but wasn't targeted in the passing game during Saturday's 20-10 victory over the Bears. Green rushed five times for 15 yards during Sunday's 24-21 victory over Tampa Bay. With Ameer Abdullah (neck) sidelined, Green will take on a larger role in the Lions offense Sunday in Tampa Bay. 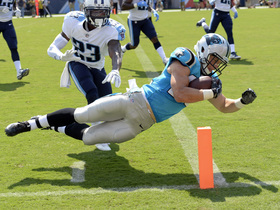 Analysis: The Lions are exploring different combinations out of the backfield. Like a week ago, Theo Riddick will likely earn more reps, but Green should also get in the act with Abdullah and Dwayne Washington in street clothes. Last Sunday in Baltimore, Green picked up 21 of 63 offensive snaps, which translated to 11 rushes for 51 yards and one touchdown. Green carried 11 times for 51 yards and a touchdown during Sunday's 44-20 loss tot he Ravens. Analysis: Seeing his first action of the year, Green averaged a respectable 4.6 yards per carry against a stout opponent and found the end zone from six yards out in the third quarter. The absence of Ameer Abdullah (neck) was the driving factor behind Green's involvement, and though the latter could return next week against the Buccaneers, the rookie's performance could earn him some sort of a role moving forward for a team that's struggled to run the ball this season. 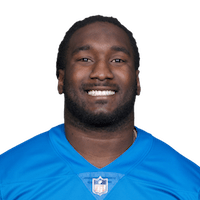 Detroit Lions running back Tion Green runs it in from 5 yards out to put the Lions back on top. 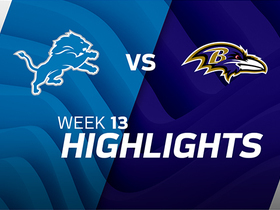 Watch to see the best plays in the Week 13 matchup between teh Detroit Lions and the Baltimore Ravens. 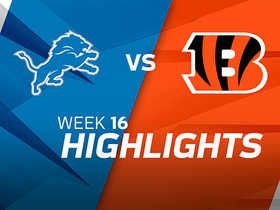 Watch to see the best plays of Detroit Lions running back Tion Green in his NFL debut. 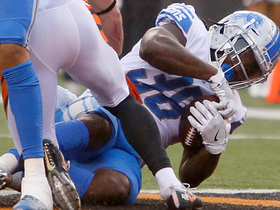 Detroit Lions running back Tion Green scores scores 6-yard touchdown. 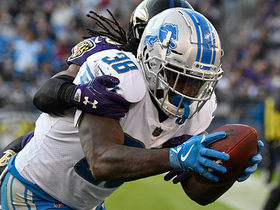 Detroit Lions running back Tion Green rushes down the sideline for a 33 yard gain against the Baltimore Ravens. Check out the best plays of the 2017 NFL Preseason.